Best dentist I've had in my life. Hands down. They are wonderful, accommodating, excellent at what they do and are so,so kind. We feel like family when we go there...everytime! Best dentist I've had in my life. Hands down. They are wonderful, accommodating, excellent at what they do and are so, so kind. We feel like family when we go there...everytime! Always happy at this dental office. Excellent dentists (I’ve had both of the Dr. Valyuks in the past) and friendly staff. Dr. Viktoriya Valyuk acquired her degree of Doctor of Dental Surgery at New York University. She is a very gentle and caring doctor. She treats her patients as special individuals. Dr. Valyuk understands how uneasy some patients may feel about their dental visits. She makes a difference in providing a relaxing and positive experience. 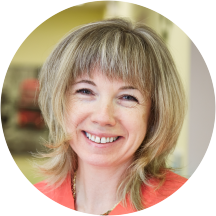 Dr. Valyuk stays current with the new trends and innovations in her profession by completing many continuing education courses, in order to benefit her patients. I was very pleased with the excellent care I received! Very professional, personable, timely, and the work was excellent! Informative. She has a very gentle touch to her patients. Very nice and always smiling. I have been going to Vita Dental Arts for a year now and Dr. Viktoriya Valyuk and Dr. Vitaliy Valyuk are very profession. They ask youall the time if you are comfortable and doing great. Elizabeth Rojas is the first person you will see in the front desk and she is a lovely and friendly person. I definitely recommend. Great service as always. Highly recommended! Overall great dentist.very nice and polite. Great services! Dr. Viktoriya is really professional and nice! Loved it. Very kind and courteous doctors and staff. Doctor seemed nice although expected to be more welcoming seeing all the great reviews and ratings on zocdoc. I had to wait for a good half an hour at the desk. At the end they referred to a dental surgeon. Dr. Viktoriya Valyuk was great! This was my first visit there. She made me feel extremely comfortable as I wasn’t sure about my first visit to a new dentist. I have sensitive gums and she took her time and made sureI was comfortable during my whole cleaning. She explained everything to me during my visit. With no attitude. Everyone at this dentist office was very professional. I highly recommend Dr. Valyuk! I have found my new dentist!! ?? It was a great experience! The Doctor was very professional and fixed my issue really well. Very positive experience - staff was friendly, and the dentist was efficient and honest. They seem to run a tight ship at this office! I think Dr Valyuk is pretty straight to the point. Treatment options are fair unlike many other dentists I have visited in the past. Excellent dentist! Was very communicative and went out of her way to explain everything. I would recommend her to any one. Excellent bedside manner. Took the time to explain everything to me and very patiently answered all my questions. I’m so happy i found this Dentist!!! To start, I came in after running there because I was scared I’d be late. The woman at the front desk was so sweet and got me water and said it was okay andwas understanding. I only had to wait like 2 minutes after giving in my new patient forms to get brought back. I’ve had sensitive gums and get nervous for cleanings, but Dr. Valyuk was amazing. She used a topical gel on the sensitive areas so I barely felt the cleaning, explained everything she was doing, and all around had great bedside manner. I’ll definitely be back for my next cleaning! Everyone in the office was pleasant, professional, and knowledgeable. I usually get anxious at the dentist office but felt very comfortable with not only Dr. Valyuk (who is an excellent listener) but also the receptionist and hygienist as well. I had a great first visit! I was nervous to go to the dentist- however Dr. Valyuk and her staff were very kind and professional and eased my mind immediately. I was communicated with every step of the way and I have a second appointment in 2weeks to complete a procedure. I highly recommend this dentist! Problem fixed right away, no wait time. Thank you for appreciating my time. Extremely pleased. I have been going here for year and it’s because of the simple fact that they are true professionals! They diagnose everything efficiently and go above and beyond to make sure the patient feels comfortable, I’m extremely happy to be Their patient! My favorite dentist I’ve had. I’ve been going for almost 3 years and both doctors keep my teeth in perfect shape! From start to finish this was a great experience. The staff is very friendly and accommodating, and the dental service was top notch. Dr Valyuk took time to explain everything, was very caring and patient, and extremely professional and friendly! She was fantastic! Virtually no waiting in the clean & professional office. Dr. V was kind, quick yet thorough, and competent. Moreover, she didn’t recommend things I didn’t need. She showed me what was “optional” as well as her suggestions.I felt comfortable & look forward to continuing my dental care needs in her office. My visit was a very pleasant visit. I think I have found a dentist I can continue to see. I have been seeing Viktoriya for almost 3 years now; she is a great dentist who is to the point. I almost never have a wait and am out of there in 30 minutes. Very concerned with the health of my teeth and doing the right checks and cleaning properly to make sure there are no issues. I love the staff here. Very courteous and quite efficient. It's a pleasure to be a patient there.